Ever wish you could learn by Osmosis? Now you can! 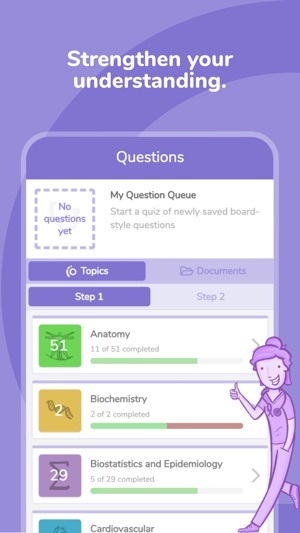 Osmosis is a new app for medical students, designed by medical students, that sends you practice questions and resources so you can learn more and forget less. 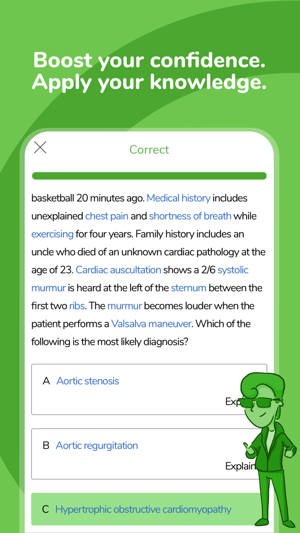 Osmosis uses proven learning science techniques like spaced repetition and testing effects to help you break out of the cram-and-forget learning cycles that are all-too-common in medical school. 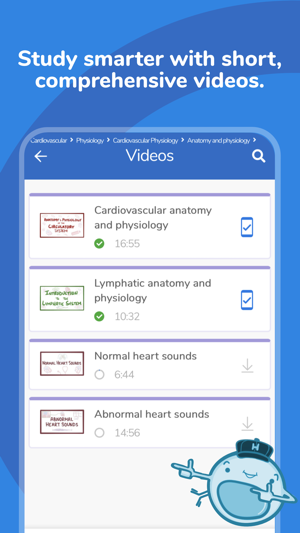 Whether you’re studying anatomy, physiology, pathology, pharmacology, or looking to sharpen your clinical reasoning skills, the Osmosis app has you covered. It's designed to take all that knowledge and literally diffuse it into your brain. Osmosis has been covered in Forbes, Fast Company, TEDMED, Medscape, The Healthcare Blog and more, and has won awards from the Institute for Excellence in Education, PhD Innovation Initiative, and DreamIt Ventures. 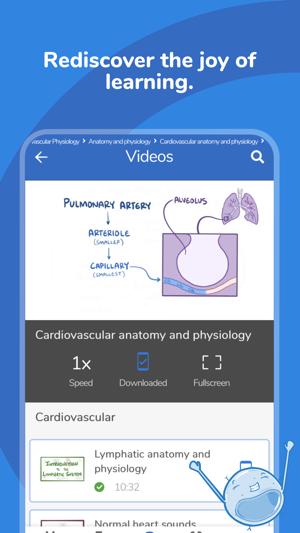 I'm a medical student from KSA, and I really benefited from this app. I've only started using it towards the end of last semester, so this is not my final review. Osmosis became my favorite place to start studying and get the general idea before going to my school notes and books for the details. Also a very positive thing is that the developers actually put time and effort to read feedbacks from users and use them to make the app better. Which leads me to my biggest concern, I don't think the app is getting the credit it deserves. Will that affect the effort and care put into this? 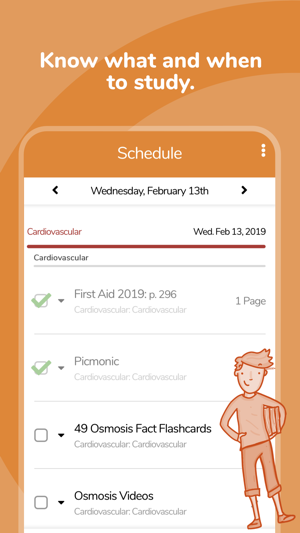 Cuz a thing like this needs update, follow up, and improvement due to the fact that this is a medical based app and the knowledge never ends. I hope they keep it up and continue improving. All in one tool you need for med school! But you need the subscription FYI! Bugs recently fixed! 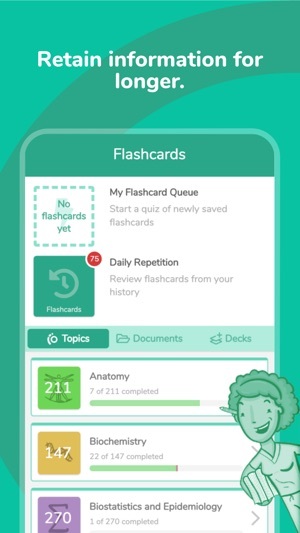 Great study tool on the go that has all my created and class uploaded flashcards! Plus I can watch all the osmosis videos right on the app so everything I need I can access with my phone on the go. Basically everything you need to study for med school can be found on osmosis and they are super quick to respond and help with help with any questions! Ultimately, not worth the download. It is extremely buggy on the iPad with most videos not playing or audio overlapping with previous parts of the video. I pay $9.99 for the videos only and can’t use them on my iPad Pro and the subscription doesn’t cover videos on the osmosis website, so I can watch on my iPhone or not at all. I don’t need the extra features of a full subscription but apparently that’s the only way to have reliable, multi-platform access to all of the videos. Bummer. Will be cancelling my subscription at the end of the month and relying on OME instead. So sorry to hear this. Can you refresh your app so that you can get our recent patch and update to version 4.1? If you're still having an issue can you please contact our support team at support@osmosis.org so that we can look into your issue? Thank you! © 2019 Knowledge Diffusion, Inc.